In this episode we began to get the story of what Snow and Charming did to The Queens of Darkness, especially Maleficent, that is making them so upset and nervous. With this information we also got a glimpse to not only how Emma has a dark potential but into how she may be forced to explore that side of herself. Snow and Charming, who have always been honest and open with everyone and have always preached being trustworthy and hopeful; are hiding a huge secret from their daughter. A secret that is going to destroy their bond and is going to make Emma start doubting all that she has known and believed about these people. This episode opened with Snow having nightmare about how the Queens, especially Maleficent, are going to come for her and destroy all that she loves. In the dream Maleficent says that by the time she is done Snow will not have a family to grieve. We at first contribute this to her threatening to kill them but by the end this may not be true. Having their daughter hate her, distrust her and feel betrayed by her is going to be worse then death for Snow and Charming. When Snow wakes up we see that she is distraught and so is Charming. We know that whatever they are hiding is life changing. They would not be this upset if it was something simple and they become obsessed with making sure that no one, especially Emma, ever finds out about what they are hiding. Throughout the episode they both do things that makes Emma suspicious. They act all concerned about taking down The Queens then they back off really fast. Emma is confused at first but she makes a very important decision. She decides to trust her parents, and believe that they would not hide anything from her or lie to her. It is interesting timing for her to embrace this idea, right when we find out that her parents are indeed lying and cannot be fully trusted right now. Hook, like everyone else in this town, is hiding a part of his past from Emma. At first it pisses Emma off but then she makes a choice. She has a conversation with Hook and tells him that she understand that he has a past. She knows that in his past he made some bad decisions.She knows that his past has missteps and darkness. She can accept all that but she tells him what she cannot accept is him lying to her. She won’t have him pretending that whatever he did was no big deal. He can tell her in his own time only if he admits that something did happen. She also tells him that she came to this decision because of her parents. They have taught her to trust the good in people. She can’t keep expecting the worst to happen in people and she is using her parents behavior as her example. Unfortunately for her this is all going to turn upside down very soon. Soon she is going to learn that they have been lying to her and that they have not always lived by their own philosophies. Of course just as Snow and Charming were coming to tell Emma everything they overhear her conversation with Hook and chicken out. This was a horrible move on their part. I know they didn’t want to stomp on what she just spoke about and make her doubt herself again but dragging this out is going to only do more and more harm. Emma trusts her parents not to lie to her. Like we all do we trust our parents to be our protection and to not betray us. Emma WILL find out what they did, that is inevitable. The question now is when and who is going to end up hurt in the process? Will it just be Emma or will there be a domino effect throughout all the characters? When Emma finds out she is going to feel utterly betrayed and devastated. All she has been learning and believing is not true. Emma is already a fragile person and this is only going to break her. She just started letting everyone in and this is going to throw all her progress backwards. What this is also going to do is going to let her begin to walk down a darker path. She is going to doubt the heroes and begin to wonder what the other side may be able to offer her. This one move by Charming and Snow is going to have devastating effects. This episode also gave us an answer to how Emma even has the potential for darkness in her. 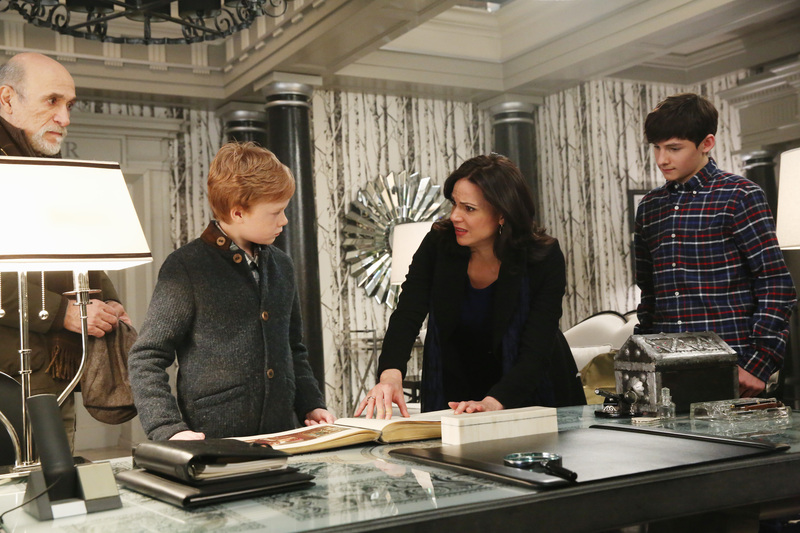 Snow and Charming go with The Queens to the Tree of Wisdom to try to get an answer to how to defeat Regina. They are not allowed an answer because Snow is pregnant. Maleficent tells her that her child is product of pure good and valiant heroes and because of this she has two potentials in life. She can either be a a true hero full of good or she can go the opposite direction and become a the darkest villain of the land. These words put fear into both Snow and Charming’s heart and they become intent on making sure their daughter only goes down the good path. We all know that without darkness light has no meaning. That without bad there is no good and without villain there are no heroes. These forces balance each other, so a child who comes from two people who are supposed to be full of good has to be able to balance that out. Emma is given a potential before she is born. This isn’t too unusual actually. We all are born with this kind of potential. A child in the womb is a blanks slate, the outer world has not stepped in yet and begun to influence the child’s choices and decisions. It is more about what choices we make and paths we follow when we are living in the world. Generally how a child turns out is a combination of environment and genetics. But what is ultimately comes down to is our choices. What way do we choose to go? Do we chose to hurt people? Do we chose to help those same people? Snow and Charming make a decision before Emma is even born that they are going to do whatever it takes to ensure their daughter can only go down the positive path. Maleficent is also pregnant and offers to work with both Snow and Charming. Snow refuses, her telling her that she does not what to become like Maleficent, that she will not become villain. Maleficent seemed genuinely shocked by her answer and maybe even upset. But in this moment Snow is making a distinction between actions, making whatever Maleficent does evil and whatever she does good. Snow and Charming believe that whatever they did was to help their daughter but can dark deeds really ensure goodness? What does their choices say about what their daughter will become and do in her life? If we learn form our parents what does what they did to Maleficent say about them? This choice is going to make Emma doubt everything and I think is actually going to make her explore her darker side. In the end all their work is most likely going to be for naught. We learned that Maleficent was also pregnant at the same time as Snow. Now this opens up an interesting question that I hope will be explored throughout the season. Emma has potential of great good or great evil because her parents are the epitome of what we consider heroes. Does that mean that Maleficent’s child had the same potential? We are not told who the father of her child was, but I am sure he wasn’t the most savory of characters. We know that Maleficent is the most dark of the group, so it would make sense that her child could hold the same potential as Emma. This made me think what did Maleficent want for her child? She seems very intent on saving all of them from Regina’s curse to save her unborn child. It is plain she cared and presently still cares for that child. So did Maleficent want her/him to follow her and become some great evil sorceress or did she want her/him to take a different path? I am hoping we get more about that child’s potential. A quick word on something I touched on last review. It is becoming more and more apparent that Regina and Snow are slowly switching roles on us. Snow used to be this woman who was all about trusting others, seeing good and making positive choices. We do know that she had made poor decisions, such as with Cora and that her heart is not fully pure anymore, but she still was striving to be the definition of a hero. Regina is of course trying to turn her life around. She is moving away from being the woman everyone fears. She is trying to stop using her power to influence people and threaten others. In this episode we see her frustration get the better of her for a minute when she yells at and threatens Pinocchio. In her past that would not have bugged her but now she sought out Geppetto to apologize for her behavior. She is struggling but she is trying not to be that angry person anymore. So now we have Snow who is lying and manipulating people and Regina is giving people chances and apologizing for her behavior. I hope that Regina going undercover with the Queens doesn’t affect this reversal of roles. It is going to be interesting to watch as these two people make choices that is completely opposite of what they would have done in season one. “I would never take comfort in his suffering,” – Belle – If you want someone who is all hero right now, Belle is your girl. She does not revel is suffering. She gives people chances when they deserve them. She regrets actions that hurt others. Right now Belle is our beacon of good. “You aren’t willing to do what was needed. I was.” – Maleficent- She says this to Snow and Charming after they are unwilling to hurt the guards to get them across the bridge to the tree. Maleficent’s decisions end up in death and destruction. Up until this point Snow and Charming do not behave that way. But we know that this didn’t hold on for long. What did Snow and Charming do that was needed to save Emma? “Quiet a lot of faith you’re putting in me, Swan,” – Hook- Emma knows that Hook’s past is not full of bright moments. She knows that he has made some poor decisions. She is willing to look past that and see his good potential. Hook is going to have to absorb that faith and return it to her when the time comes. He is going to need to have faith in himself in order to save Emma later on. What did Snow and Charming do to Maleficent’s child? Did her child hold the same potential that Emma held/holds? Is Maleficent’s child dead? Or just missing? Prisoner somewhere? Did Maleficent want her child to join her on her dark path or did she want her to explore more of her good potential? When and how will Emma learn about Charming and Snow? Will she continue to have faith in Hook? 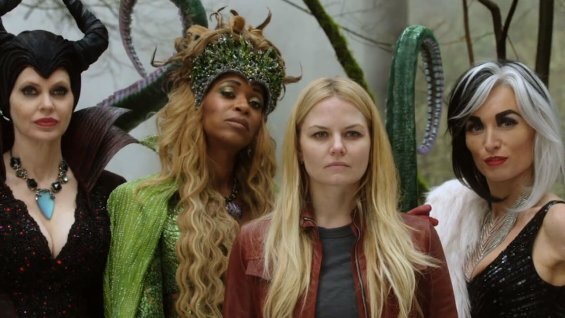 Will Emma be more willing to lean on Hook soon? When and how are we going to see dark side Emma? Where is Robin Hood and when will be returning? What does the picture Henry found mean? Is this request for the author going to have some connection to The Queens story line? Can the author somehow fix Emma if she goes down the wrong path? When and how did Will’s relationship begin? What will Rumple do when he returns to her? How will Belle react when Rumple does come back? How can a story be added to the book? Who will be more of a villain by seasons end, Regina or Snow? Will pretending to be on The Queens side negatively affect Regina’s progress? Posted on March 9, 2015, in Once Upon a Time, Tv Shows and tagged Emma, lying, Maleficent, Once Upon a time, Regina, secret, Snow and Charming, tv show review. Bookmark the permalink. Leave a comment.